← Bull City Burger & Brewery in Durham – A “Must Go” for Burger Lovers! Fire In the Triangle Conclusion Tonight! Fire In the Triad Starts August 13th! 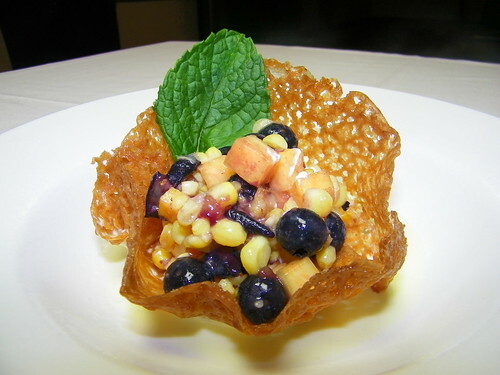 Tonight is the final showdown of the competition dining series “Fire in the Triangle“. Chef Ryan Payne of Chapel Hill’s Weathervane and Chef John Childreers of Cary’s Herons Restaurant will go head-to-head to determine the winner of what has been an exciting competition dining series. Tonight’s final chef “battle” is the conclusion of a two month long competition dining series where each evening, two restaurants “battled” it out side-by-side in a single elimination, “Iron Chef”-style format. “Fire in the Triangle” featured a total of 15 chef “battles” where diners sampled each course from two chefs in a blind tasting alongside a panel of culinary and celebrity judges. Diners, alongside culinary and guest judges, rated each dish and determined who moved on to the next round and who went home. The winner of tonight’s final battle will win a grand prize of $2,000, a coveted “Red Chef Jacket,” and a hand-forged trophy by Gaines Kiker Silversmith in Blowing Rock, NC. Check out the Durham Foodie blog by Johanna Kramer where she and other guest bloggers did an awesome job of recapping the entire series of “Fire in the Triangle” chef battles over the past two months of the competition. Each recap includes the secret ingredient revealed for each battle along with descriptions and pictures of the incredible dishes prepared each night. Be sure to check her blog tomorrow for a full recap of tonight’s final event!! 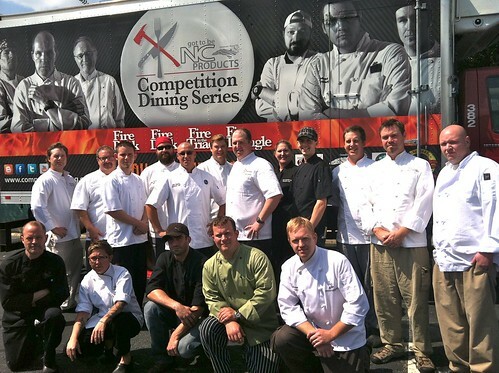 Fire In the Triad Chefs Announced! If you have foodie friends in the Triad, be sure to tell them about the “Fire in the Triad” series that is coming to Greensboro in August! The competing chefs (pictured below) have just been announced. See the press release below for more information about the event and details on how you can purchase tickets to “Fire in the Triad”! Yesterday, the Got To Be NC Competition Dining Series and Fire In the Triad announced the participating chefs at a press conference at the Painted Plate in Greensboro, NC. The 15 dining events start with a slate of 16 chefs. The first two competitors battle it out on Aug. 13. 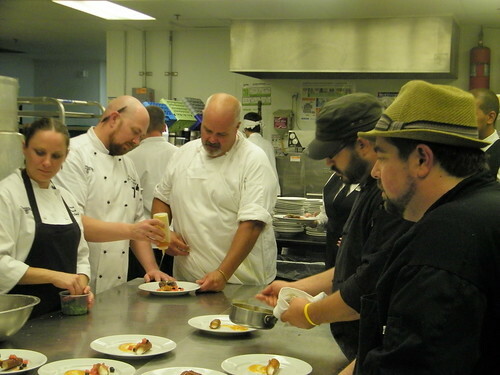 The chefs will battle in single-elimination brackets until only two are left standing at the finals on Sept. 25. All events will be hosted at Painted Plate at 2001 North Church Street in Greensboro, NC. The goal of the “Got To Be NC” North Carolina Competition Dining is to showcase North Carolina culinary talent and agricultural bounty. In addition, time is given to the Office of the State Fire Marshal in North Carolina to support local fire fighters, as cooking is the number one cause of house fires. Instructional tips about kitchen fire safety will be shared during each event. Sponsors include The North Carolina Department of Agriculture (NCDA), Southern Foods/Pate Dawson, OUR STATE Magazine, Crippen’s Country Inn & Restaurant in Blowing Rock and h.ITS Technology. Local sponsors include the Greensboro, North Carolina Convention and Visitors Bureau and Visit Winston-Salem, The Greensboro News-Record and GoTriad.com. HOW IT WORKS: Paying guests will sample each course in a blind tasting alongside a panel of culinary and celebrity judges in a series of 15 dinner competitions. Each evening, two restaurants “battle” it out side-by-side in a single elimination, “Iron Chef”-style format. Guests savor a six-course menu (three dishes from each chef without knowing whose food they’re tasting) created around a “secret” or “featured” ingredient. For almost all dinners, the ingredient will come from a North Carolina source. The secret ingredient is revealed to the chefs only an hour before they start cooking, and it must be used in each of their three courses. Diners, alongside culinary and guest judges, will rate each dish and determine who moves on to the next round and who goes home. At stake in each series is a grand prize of $2,000, a coveted “Red Chef Jacket,” and a hand-forged trophy by Gaines Kiker Silversmith in Blowing Rock, NC. The runner-up receives $500. Tickets for dinners cost $49 excluding beverage, tax and tip. The semi-final and final ticket prices are $59. 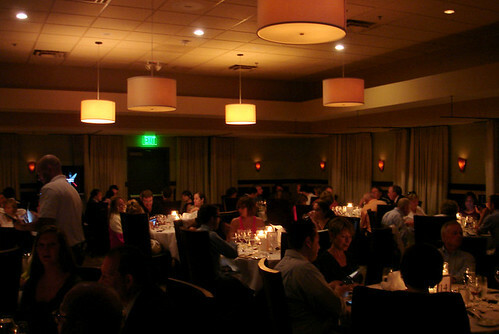 Diners can attend as many dinners as they like.